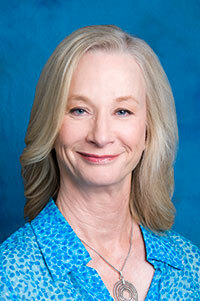 Mary L. Wilson, MD, serves as the executive medical director of The Southeast Permanente Medical Group (TSPMG). TSPMG is one of Georgia’s largest multi-specialty medical groups, with more than 600 clinicians caring for nearly 310,000 Kaiser Permanente members in the state. Services are delivered through a network of 26 medical offices and specialty centers, as well as at four contracted hospitals — Piedmont Hospital, Northside Hospital, Gwinnett Medical Center, and Children’s Healthcare of Atlanta. Dr. Wilson, a pediatrician, received her bachelor’s degree from Colorado College in Colorado Springs, Colo., and her medical degree from the University of Washington in Seattle. She completed her internship and residency in Pediatrics at the University of California-San Diego and a fellowship in Ambulatory Pediatrics at the University of California-Los Angeles (UCLA). She also holds a Masters of Public Health from ULCA. Dr. Wilson is board certified by the American Board of Pediatrics and is a member of the American Academy of Pediatrics. Prior to her role in Georgia, she served as area medical director for the Kaiser Permanente Panorama City Medical Center in the east San Fernando Valley area of Los Angeles. In that position, she led 400 physicians and 3,000 employees in the care of 215,000 members at a 230-bed hospital, four other medical offices, and a mental health center. She has held several other leadership roles, including assistant medical director for Patient Care Experience, where she designed and implemented a strategy to help more than 5,000 physicians improve the care experience for over 3.5 million patients. Dr. Wilson is active in the community, having served with non-profits that work with victims of domestic violence and on overseas medical mission trips. She promotes an active lifestyle and sets an example for her patients through travel, running, and competing in triathlons.